A colorful selection from South Korea. 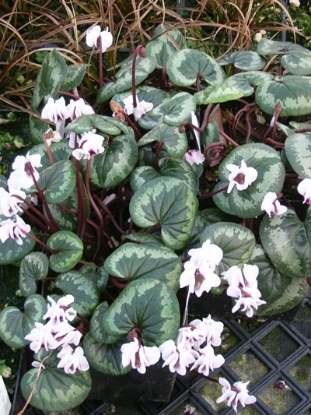 Prominent purple stems provide great contrast to the white flowers, along with the lush-green foliage. 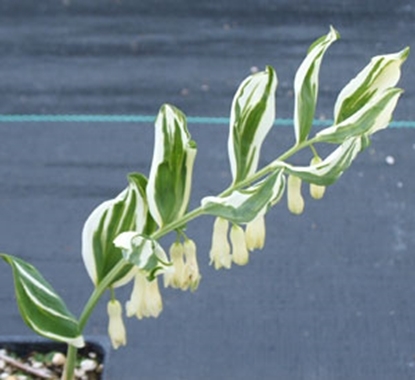 The flowers are bell-shaped, white with a green rim. 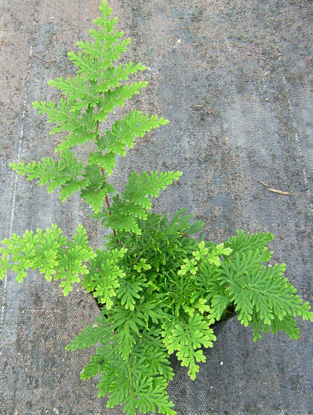 Grows in most soils, slow spreading. 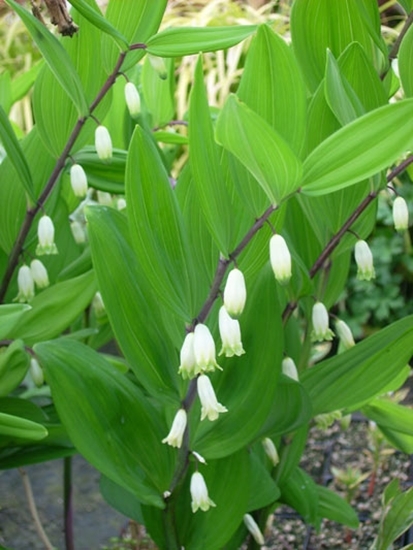 Note: May be shipped as bare root divisions or potted but not rooted in, as Polygonatum roots late in the season.